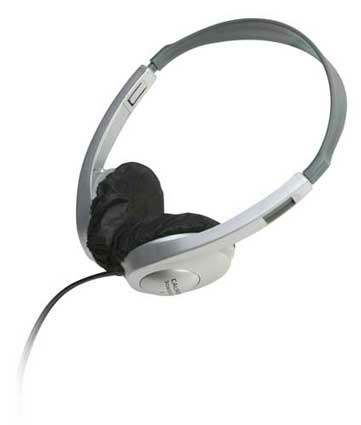 These protective earpad covers are ideal accessories for headphones and headsets which are frequently shared by students in high use school settings such as 21st Century classroom listening centers, libraries, computer labs or media centers, and in ELL and ELD activities. The earpad covers are made from 100% polyester fiber, so they are hypoallergenic and are also disposable. The earpad covers fully enclose the ear cushions of a headphone or headset, helping to keep them clean and improve hygiene. The soft earpad covers also help deflect perspiration from the ear, making them more comfortable in hot, humid conditions without affecting the overall sound quality. Since the wearers are no longer in direct contact with the vinyl ear cushions, many will find using the earpad covers to be more comfortable, and are more likely to stay on task. These earcup covers are designed to be used with all of the Califone 3060 series and CA-2 headphones and can also be used with the 3064AV and 3064-USB headsets. The elastic edging of the earpad covers enables them to easily fit on other headphones with an earcup diameter from 2” - 2.3”.